The research group led by professor Yusuke Suzuki, Department of Nephrology, Juntendo University Faculty of Medicine has reported that galactose-deficient IgA1 (Gd-IgA1) is a useful tool as a new biomarker for IgA nephropathy (IgAN) and IgA vasculitis with nephritis (IgA-VN). 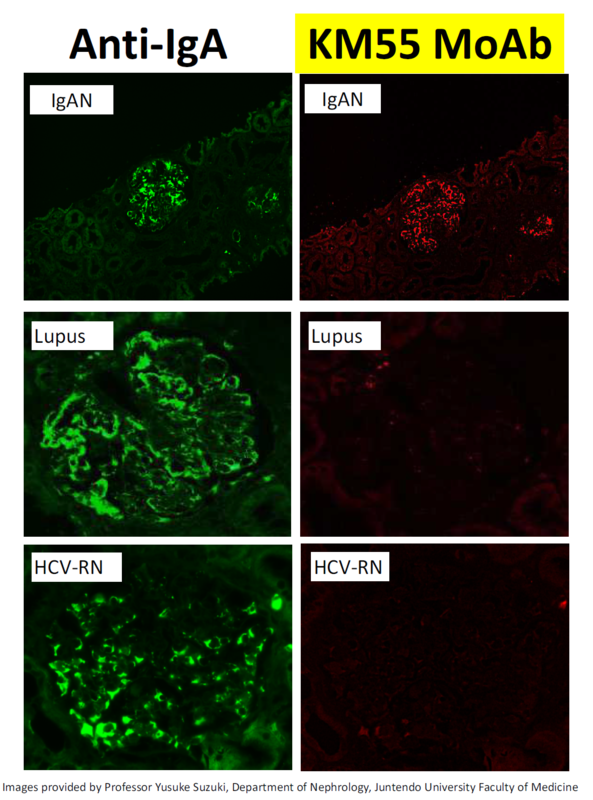 In this study, the paraffin-embedded sections of renal biopsy specimens obtained from 48 patients with IgAN and 49 patients with other renal diseases such as IgA-VN, lupus nephritis, HCV-related nephropathy and membranous nephropathy were stained using by the antibody (KM55) that specifically detect Gd-IgA1 and the pathophysiological significance of Gd-IgA1 in glomerular deposits of patients with IgAN was evaluated. 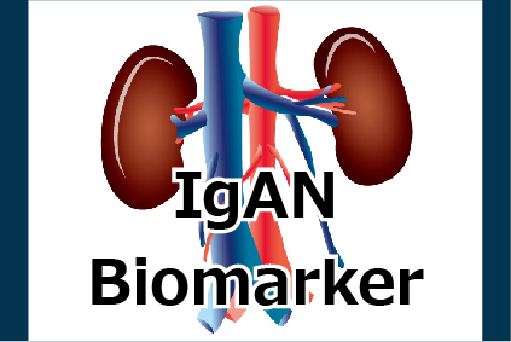 As a result of the evaluation, it has been reported that Gd-IgA1 was specifically positive in IgAN and IgA-VN while it was negative in other renal disease such as lupus nephritis. It has been suggested that IgAN and IgA-VN have a shared feature regarding galactose-deficient IgA1 (Gd-IgA1) – oriented pathogenesis. Please refer to the article for further information. IgA nephropathy and IgA vasculitis with nephritis have a shared feature involving galactose-deficient IgA1-oriented pathogenesis. Suzuki H et al. Kidney Int. 2018 Jan 9. pii: S0085-2538(17)30799-8. #10777 Anti-Human Gd-IgA1(KM55) Rat IgG MoAb was used in this article. #27600 Gd-IgA 1 (Galactose - deficient IgA 1) Assay Kit – IBL is also available for sale. We hope that we can support your research.